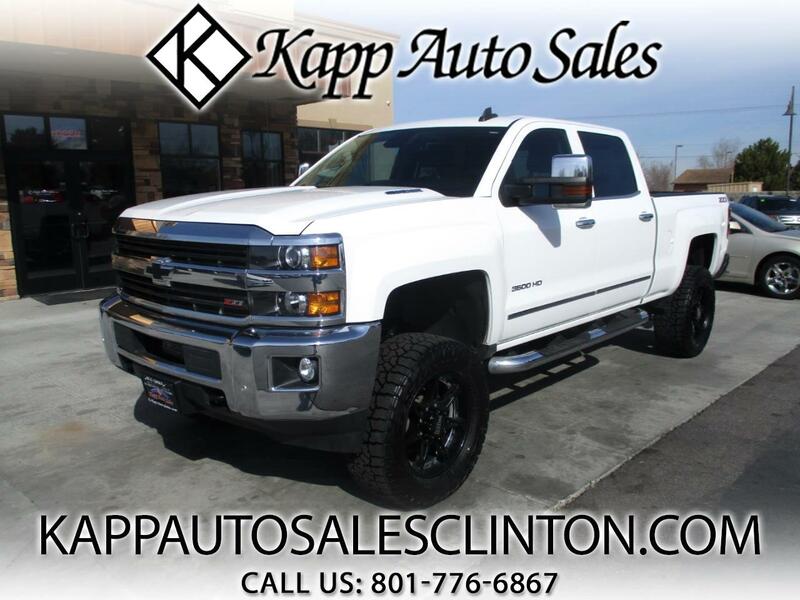 **FREE 3 MONTH/3,000 MILE WARRANTY AT LIST PRICE** CHECK OUT THIS SHARP LOOKING 2015 CHEVY 3500HD LTZ WITH THE 6.6L DURAMAX ENGINE AND ONLY 72K MILES!!! THIS TRUCK IS IN AWESOME SHAPE AND RUNS AND DRIVES EVEN BETTER!! THIS TRUCK HAS A NICE LOOKING 6 INCH LIFT WITH 20 INCH MOTO METAL WHEELS AND JUST LIKE NEW 35 INCH TIRES!! THIS THING IS ALSO LOADED UP WITH LEATHER INTERIOR, HEATED AND COOLED SEATS, PWR EQUIPMENT, PWR SEATS, BOSE STEREO, STEERING WHEEL CONTROLS, NAVIGATION, BACK UP CAMERA, ADJUSTABLE PEDALS, EXHAUST BRAKE, LANE ASSIST, BED LINER, BACK UP SENSORS, AND MUCH MORE!! !